The state Department of Education reports that the high school graduation rate in 2017 was 87.9%, marking the seventh consecutive year it has increased. This also marks an over 5% increase since 2011. The data shows that this upward trend holds true across municipalities regardless of their demographic background. 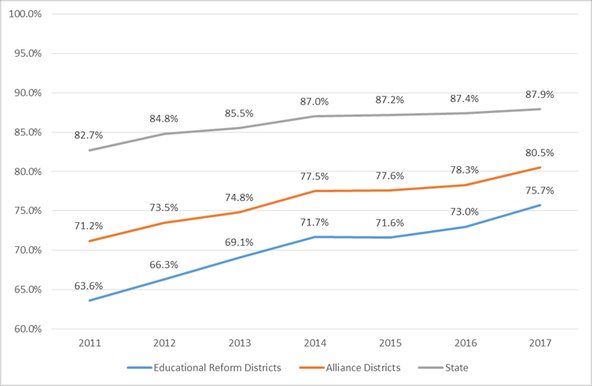 The graduation rates for Alliance Districts reached 80.5 percent in 2017, up from 71.2 percent in 2011. Graduation rates for English language learners jumped from 62.4% to 68.4% in the same time period. I will continue to advocate for fair state education aid for East Hartford so that we can fully close this gap and help all students earn their high school diploma.